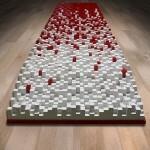 Historic Timber and Plank has manufactured a truly one of a kind wall panel. 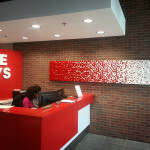 This panel was created for Five Guys LLC and is displayed at their corporate headquarters in Lorton, VA. 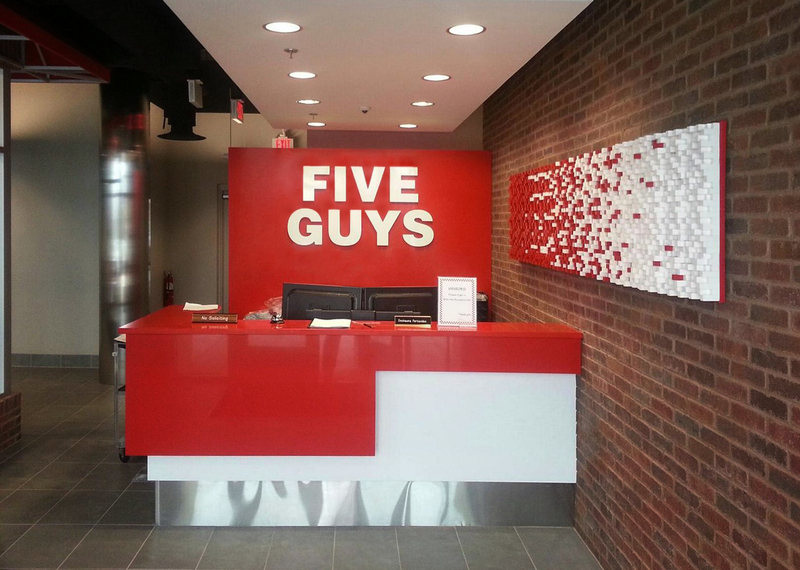 The wall panel uses the Five Guys time-honored red and white colors and varying sized solid wood 100% post-industrial recycled blocks to create a three-dimensional panel that is 2′ x 10′ and pays honor to the French fries which they have made famous. 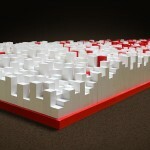 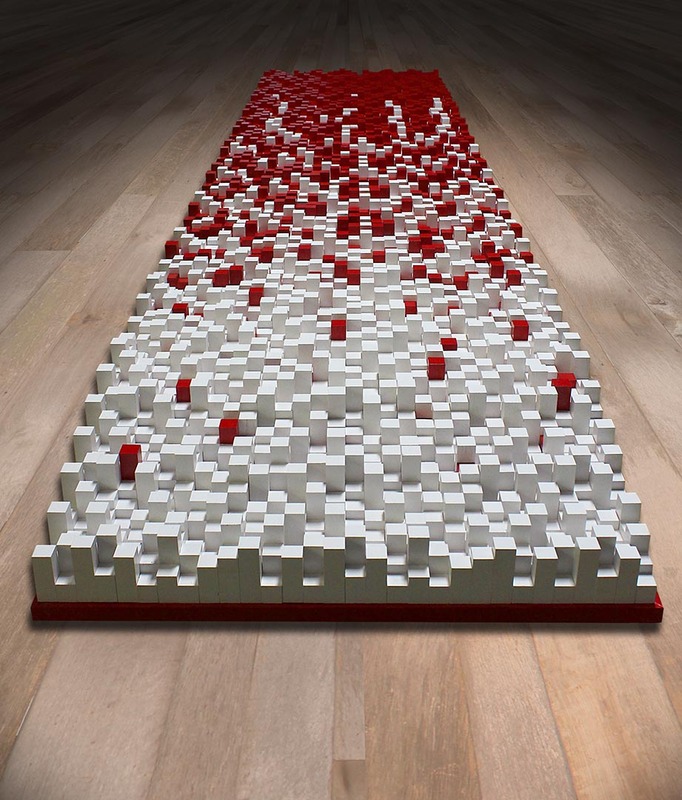 There are 4,500 ¾ inch square handcrafted maple blocks. 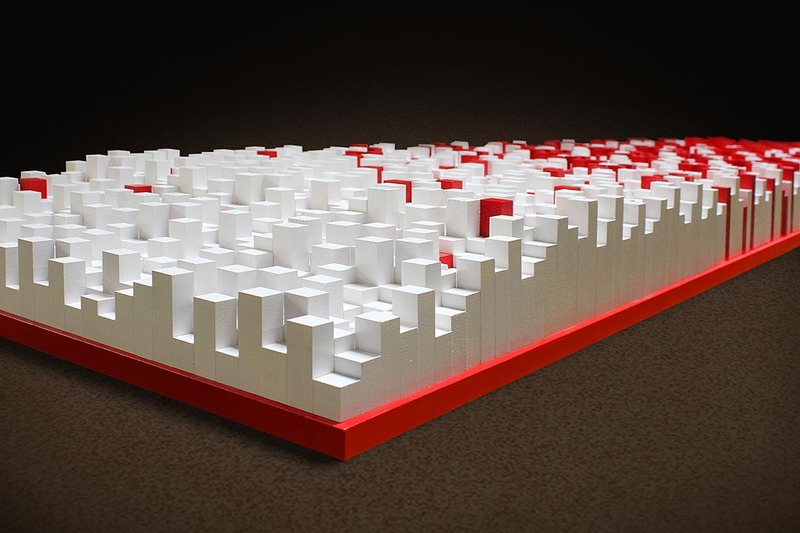 The blocks range in length from 1 ½ inch to 4 inches, and with the random pattern designed for this wall panel, no two blocks of the same size are ever in contact. 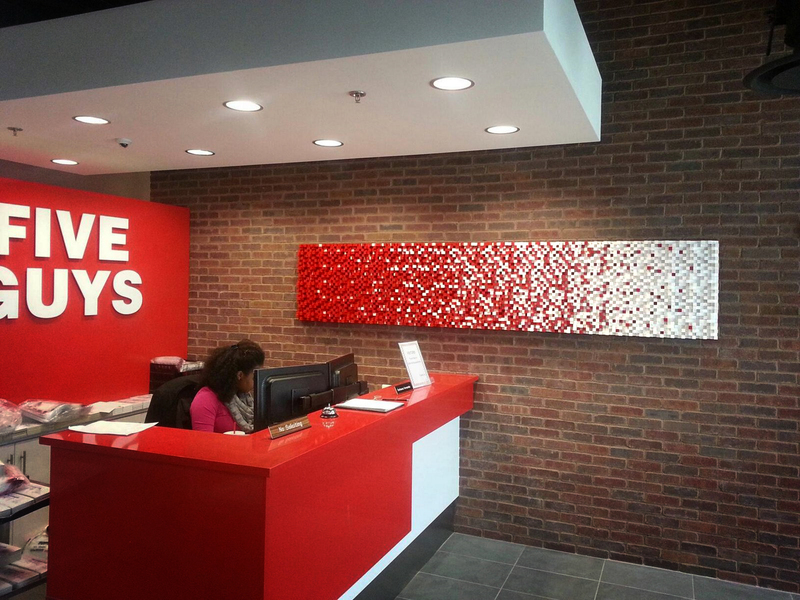 Each block was individually handcrafted and finished with custom Five Guys colors to create this unique panel.